Make your own home fragrance spray. Home fragrance recipes give you the freedom to create your own favorite scents for your home, using easily found ingredients and simple techniques. They can also be less expensive than other home fragrance options, and the best part is that they're fun to put together. Some of the best recipes for home fragrances are extremely fast and simple. If you want to give your home a welcoming scent, here are a few short recipes that will have the fragrance flowing in minutes. All you need for stove top scents are a pot of simmering water and some spices, fruit peel, or other items from the pantry. Heat the water on the stove, and add cinnamon sticks, cloves, orange or other citrus peels, nutmeg, allspice, or premixed pie spices. As the spices and peel simmer, their scents are released. Make sure you keep an eye on the water and add more as needed. Tip: This can also be done in a slow cooker for lasting scent. Potpourri is a beautiful addition to your home décor, and it's really easy to make yourself. You'll need a collection of dry, natural items like pinecones, dried flowers, small pieces of bark, etc. as well as a fixative such as orris root. Add about 5-10 drops of fragrance or essential oil per cup of naturals, and mix well. Potpourri is especially handy since you can refresh the scent easily by adding more oil. Display your scented potpourri in pretty bowls, or fill sachets with the mixture. Many people enjoy a single-note fragrance for their homes, such as lavender or vanilla. Others tend to use fragrance blends, like cucumber melon or a floral bouquet. If you want to try your hand at mixing your own signature scent for your home, it can be as easy as mixing oils together and discovering what you enjoy. Since essential and fragrance oils tend to be expensive, however, it's best to have some idea of what you're looking for. Here are a few tips. Single note spices and fruit go well together, like rosemary and citrus, or orange and clove. Purchased bakery-type scents have added depth with the addition of a bit of vanilla. Light scents such as rose will be overwhelmed if stronger scents are added. Use a light hand when blending. Most florals will go together well, and adding a drop or two of a "green" scent like fresh cut grass adds to the overall effect. Classic food pairings will also work with scents. Think cherry and chocolate, or apples and cinnamon. Use your newly created scent in potpourri, or add it to a homemade room spray. 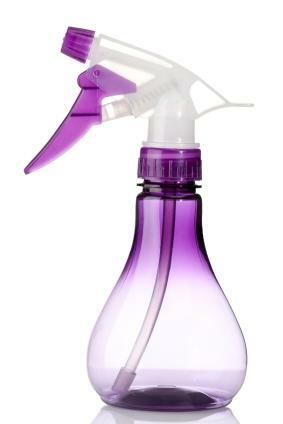 There are several home fragrance recipes that allow you to create your own room sprays. These can be useful not only because they're less expensive to make, but also because you get to control every ingredient that goes into the end product, reducing the risk of spraying harmful chemicals. Here is a basic room spray recipe that you can feel free to tinker with until you find the spray that's perfect for you. Pour the distilled water into a spray bottle. Add the alcohol or vodka and fragrance; shake well. Allow the mixture to sit for several hours or overnight before using. Shake the bottle each time before use. Note: Rubbing alcohol is sold in both ethanol and isopropyl forms. The isopropyl alcohol is made from petroleum based products, so you'll want to avoid using it in this recipe. Once you get started making your own home fragrances, you'll find that you'll love being able to control the scents yourself, and enjoy making new ones!